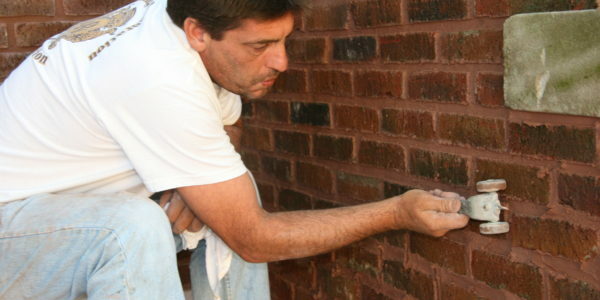 The repair of deteriorated mortar is called tuckpointing. 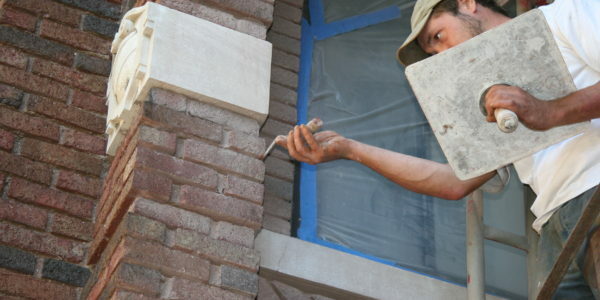 Tuckpointing is one of the most common services Building Restoration Corporation provides and our skilled craftsmen have mastered the art of replacing mortar. 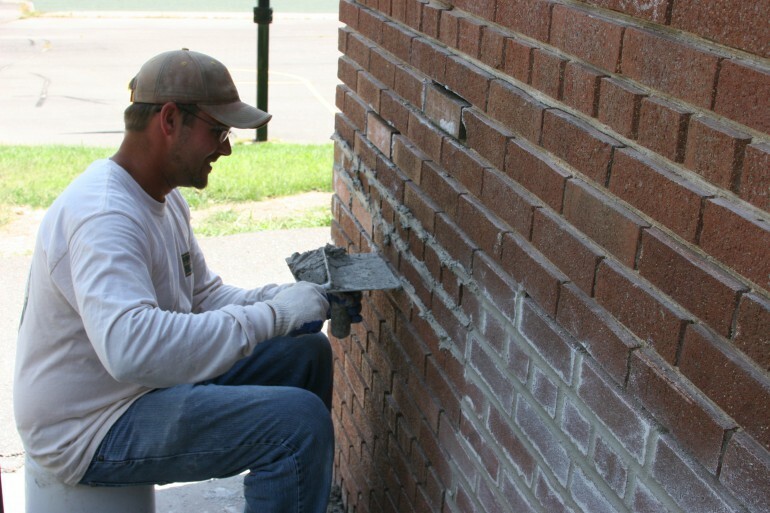 Successful tuckpointing depends on the masons themselves. 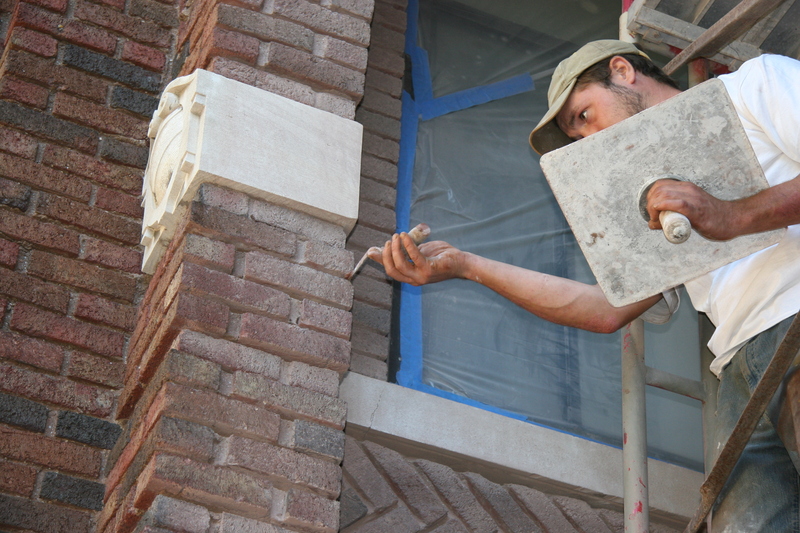 The experienced masons at BRC understand the special requirements for work on historic buildings and the added time and expense they require. 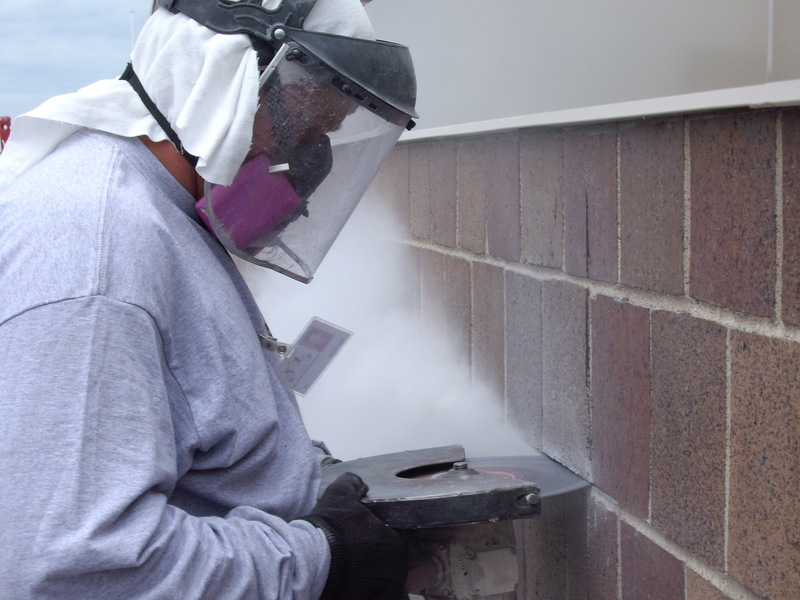 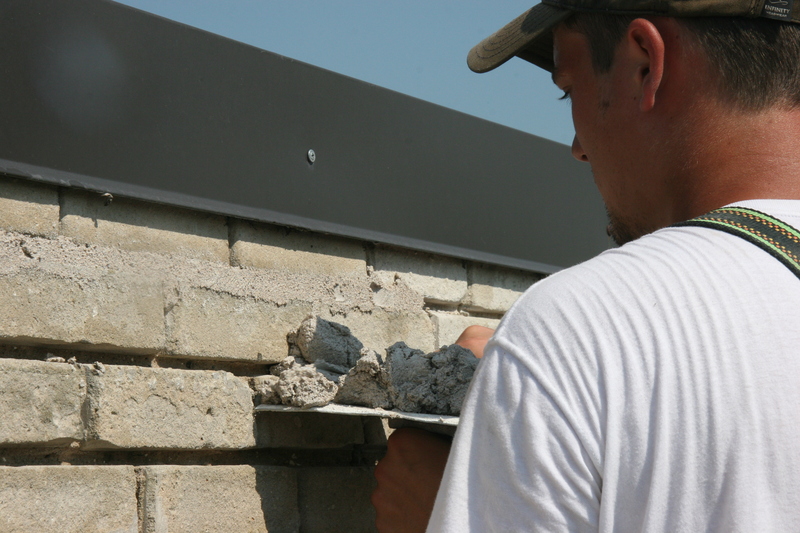 Our masonry crews are willing and able to perform the work in conformance with the specifications. 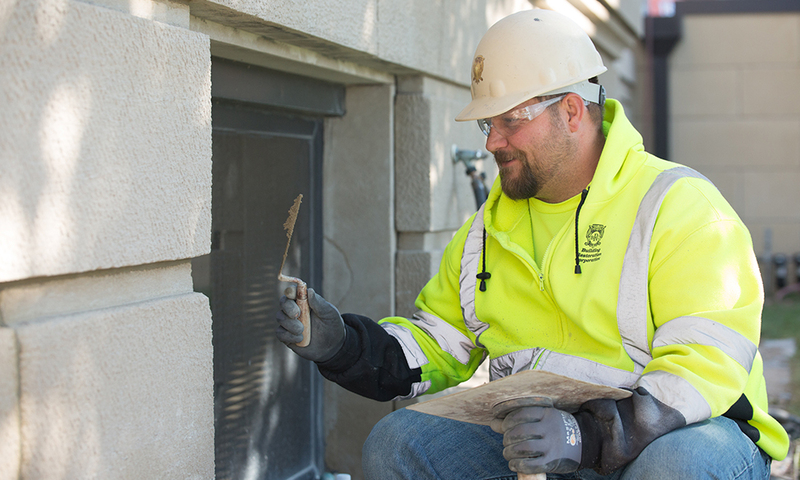 Sawing out old mortar requires a steady, experienced hand led by a craftsman who knows his trade. 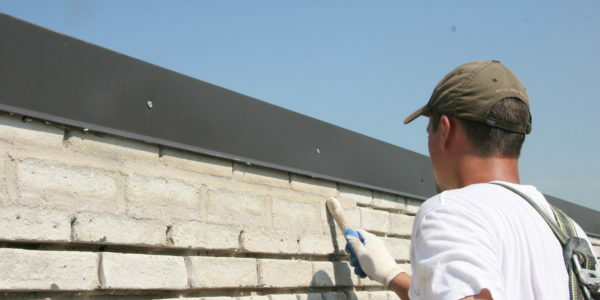 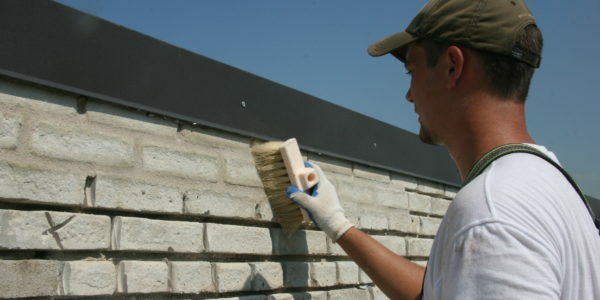 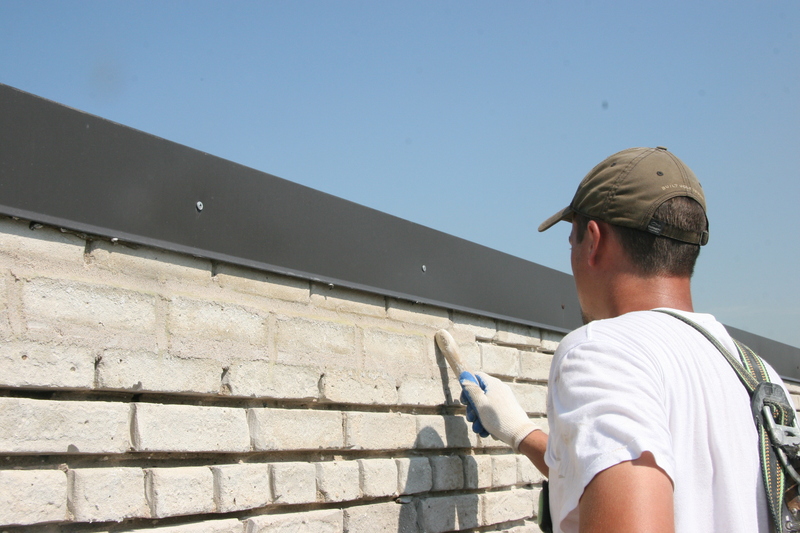 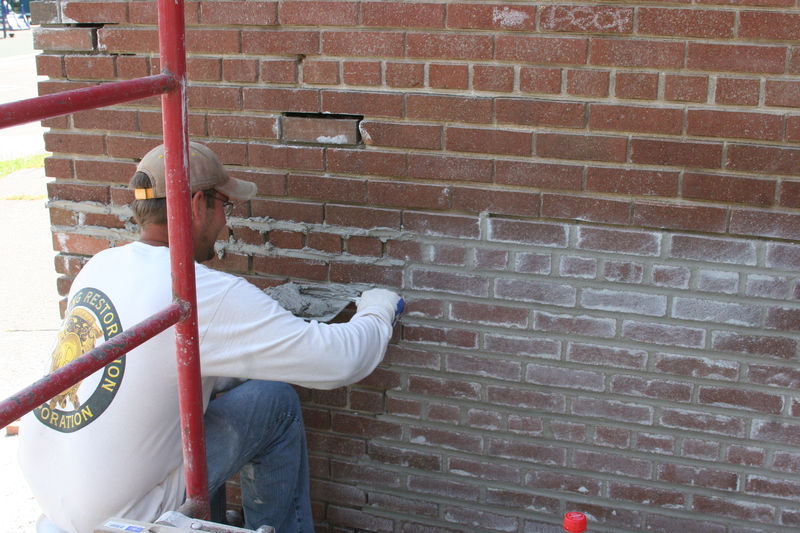 At Building Restoration, we utilize our experience to make sure mortar is cut out without creating wavy lines between bricks or damaging the surrounding bricks. 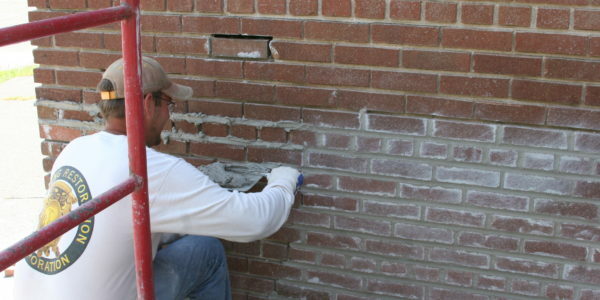 Joints need to be cut deep enough so the new mortar can properly bond to the brick or stone around it. 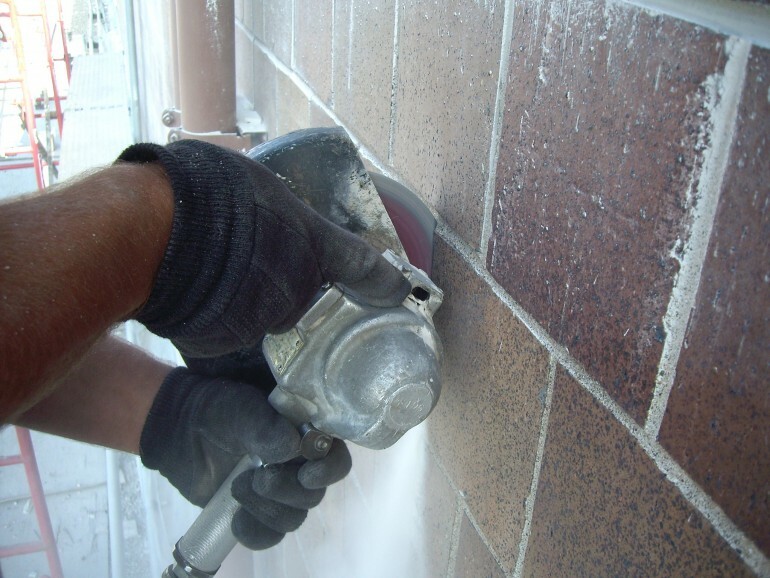 The depth of the cut depends on the condition of the old mortar which means no two jobs are ever the same. 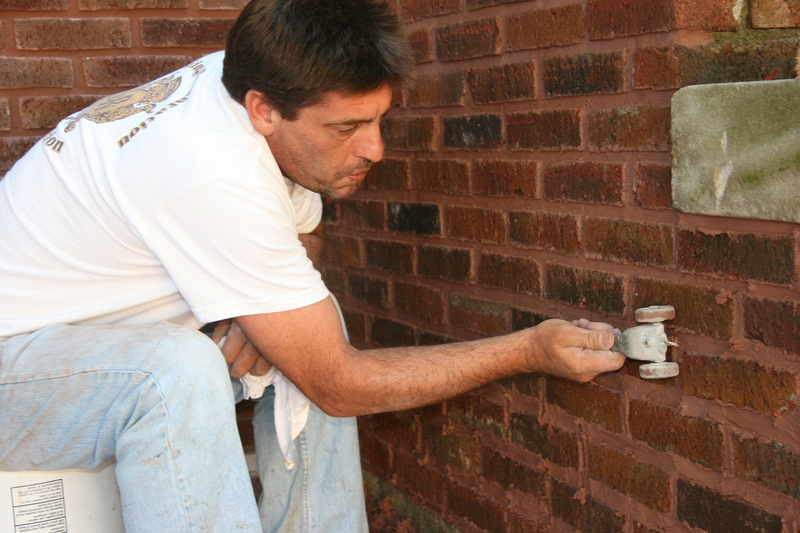 The craftsmen at Building Restoration have the years of experience needed to know how deep the work should be. 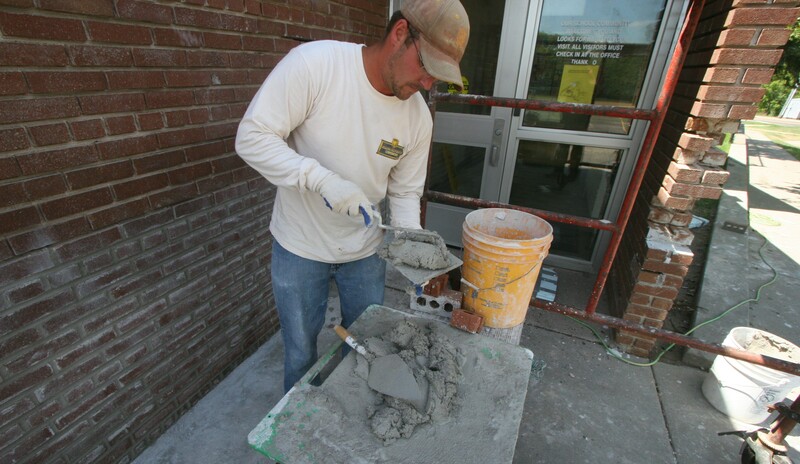 Proper mortar design is critical to preventing damage to the building. 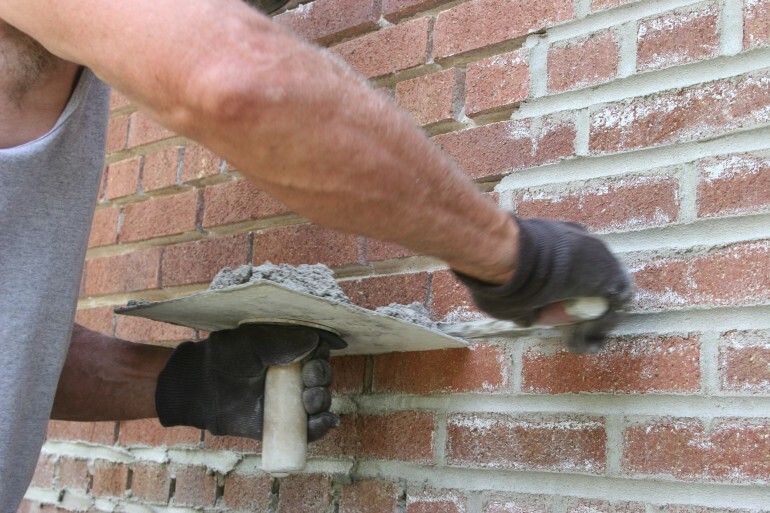 If mortar is designed too hard, it will not allow for proper expansion and will damage the brick surrounding it. 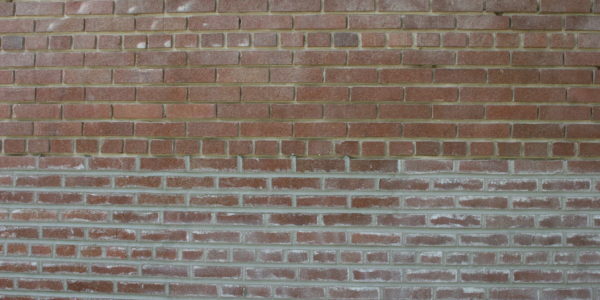 This can be seen when the faces of bricks pop off, crack and break in warm weather. 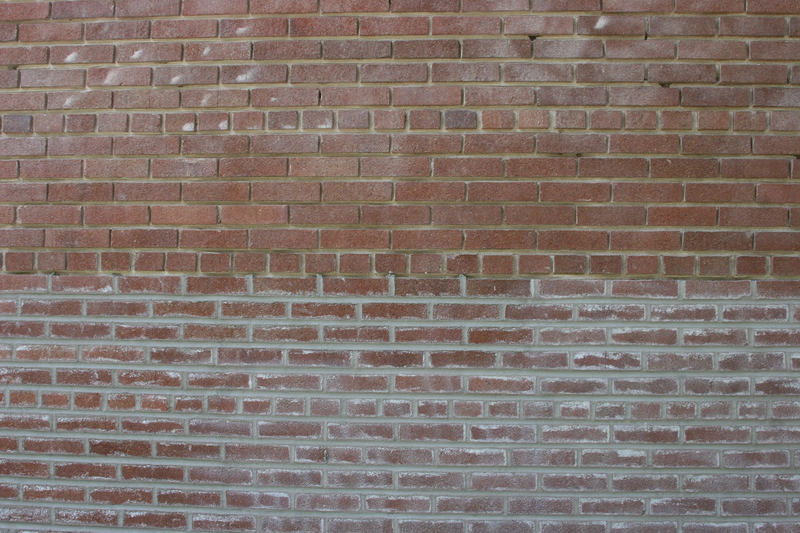 This damage can be more expensive to repair than the original tuckpointing. 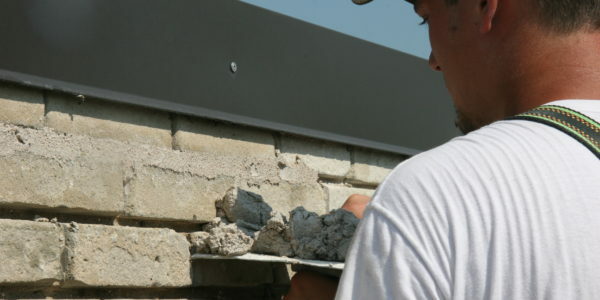 The repaired sections of a building should blend in with the rest of the structure. 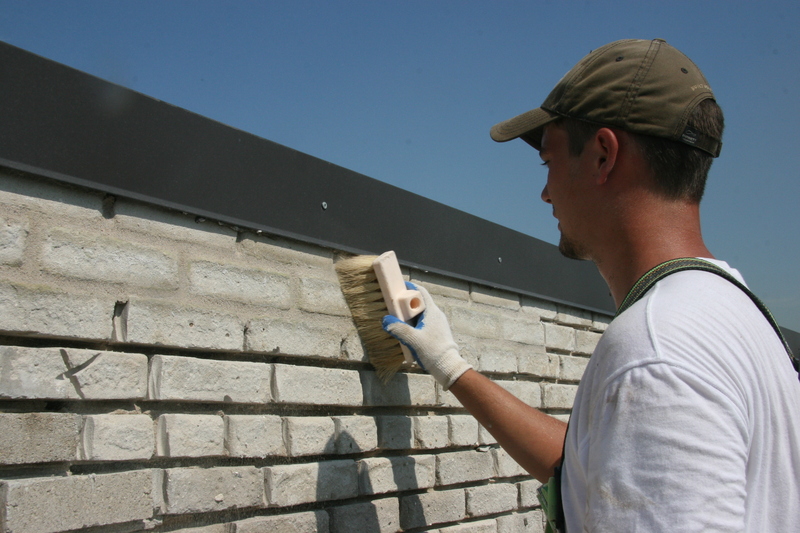 Significant variations in appearance will diminish the overall aesthetic value of the property.